As residential locksmith providers in the entire Lehigh Valley PA, LockTech24/7 locksmiths proud to serve Whitehall Township. This includes South Whitehall, Fullerton, Hokendauqua, Stiles, and Wellington. As a local locksmith company to Whitehall Township, LockTech24/7 is based in Northampton PA, so we’re just 3 miles away in a case of emergency residential locksmith service. At the same time, we’re available 24hr in Whitehall PA for all types of emergency lock&key situations. LockTech24/7 is the brand name to remember whenever you want reliable, honest, and affordable residential locksmith service. We are your local locksmith company serving Whitehall, PA: 18052, and the entire Lehigh Valley, Pennsylvania. Please check the list of services that we cover. However, if you don’t see the service you like, please contact us to find out more. When it comes to residential lockout services in Whitehall PA, we mean we cover all type residential door locked out! This includes external and internal doors opening, as well as a safe box, or a shed in the backyard. With attention to speed, we offer 15-20 minutes time of arrival since you call us for emergency residential locksmith service. That is to say, there is no faster emergency locksmith in Whitehall PA. Please tell your family and friends about LockTech24/7, save their time and their money! With this in mind, we’re happy to list our of residential locksmith services in Whitehall PA. Locked Out of House in Whitehall PA – Locking yourself out of your house is not a pleasant moment. Yet, worry not, we have you covered! 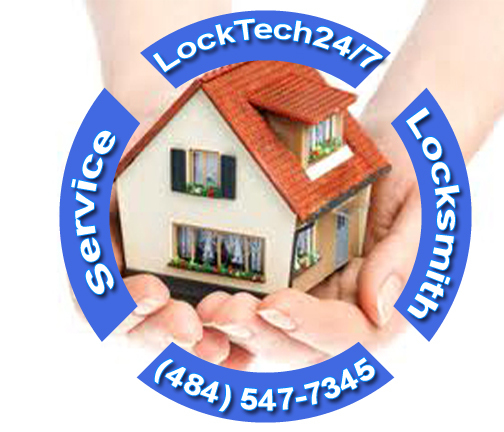 LockTech24/7 residential locksmiths are ready to unlock any house door, whether a front door, side door, or back door. Locksmith Open Apartment Door in Whitehall PA – 24/7 apartment lockout services are available the first time you call us, and with no delay. We, at LockTech24/7 believe that fast emergency locksmith service can lead to a satisfied and happy customer. Bedroom Door Locked out Whitehall PA – Same as house lockout or apartment lockout, you can get locked out also of one of your bedrooms. No matter if you lock yourself out of your bedroom, storage room, or a basement, we can unlock any residential door. Call the lockout experts of LockTech24/7, win your time and your money! Safe Box Lockout Whitehall PA – Whether it’s a lockbox, a small safe box, or medium size safe, we can open it hassle-free. Locktech24/7 lockout specialists ready for your cal, day and night! Residents of Whitehall PA know and rely on LockTech24/7 and our residential locksmith Whitehall PA in a time of needs. In a time when residential locksmith need has arisen, we are ready to take your security requirement to the next level. If this is the time to service your residential locks in your home, we’re ready to help. Think about the benefit you gain when a professional locksmith is taking care of your security, let along, LockTech24/7! Lock&Key services in Whitehall, Fullerton, and the Entire Whitehall Twp is only one phone call away. Locks Re-key in a House Whitehall PA – Usually, a re-keying lock is cheaper than replacing a lock. When we re-key house locks, we change the pins inside the cylinder. Re-keying lock is our expertise, don’t hesitate to call us also for emergency lock re-key service. Broken House Lock Repair Whitehall PA – Repair of residential locks is our daily basis of locksmith services. It’s true that locks used with iron and steel, yet, they can break out if wear and tear. In a case you need to repair a lock on the door of your home, we are here to help. LockTehc24/7 emergency residential locksmith is on the way to you. Broken Lock Replacement in Whitehall PA – Sometimes, a broken lock is not in a shape of repair. If your lock is malfunctioning beyond repair, we offer to replace the entire lock and mechanism. In this case, we give you 3 months guarantee for the lock and our labor. Lock Services of a Mailbox in Whitehall PA – Mailbox lockout service as well as mailbox lock services, whether you need to repair or replace a mailbox lock. We can get and replace any mailbox lock. Broken Key Extraction of My Home Whitehall PA – Don’t hesitate to call us when the key to your home breaks on you. We have all the tools to extract a broken key out of your lock. Residential key extraction made easy by LockTech24/7. Please call us now! Many customers prefer to have a keypad lock than a mechanical lock. The reason behind that is to avoid taking a key with you. Yet, you may need to be cautious about the batteries running out. We can help you to install and program an electronic lock whenever you decide to upgrade the features of your house security. LockTech24/7 residential locksmith experts available 24 hours a day, 7 days a week.